I know this news is a bit late, but Xooro is opening up a shop in West Hollywood! To celebrate, they are holding a party tomorrow night from 6:30-9:30pm with wine, tapas, and churros. This information is taken from these sites (here and here). 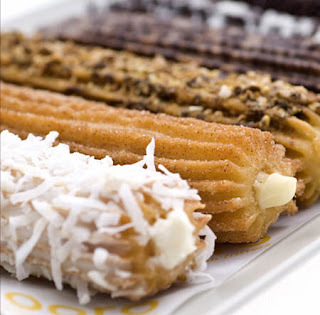 On the store's official website it says that they will be giving out FREE original churros on Wednesday, June 24th from 5:30-7:30pm at its new location. Check out my previous post about Xooro here. It's a great gluten free snack, although I'm sure it is loaded in calories. Oh well, it's a nice treat!